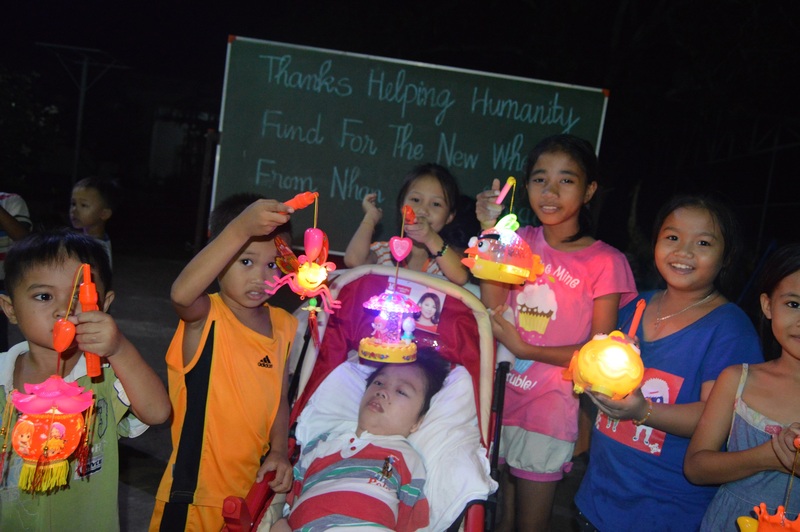 On September 13, 2015 we brought a new stroller/wheelchair and lots of Mid-Autumn Festival lanterns to the Nhan Ai Orphanage. These gifts were provided by the Helping Humanity Fund. 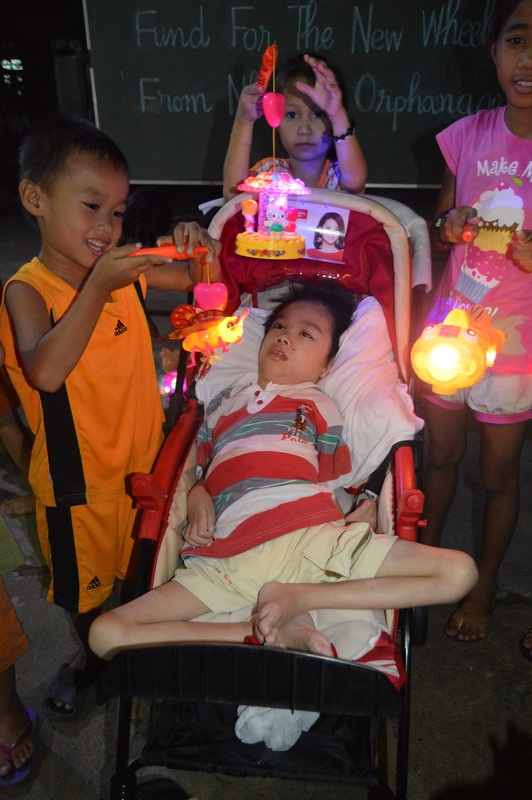 We have been blessed to work with Paul and Helping Humanity on several occasions. 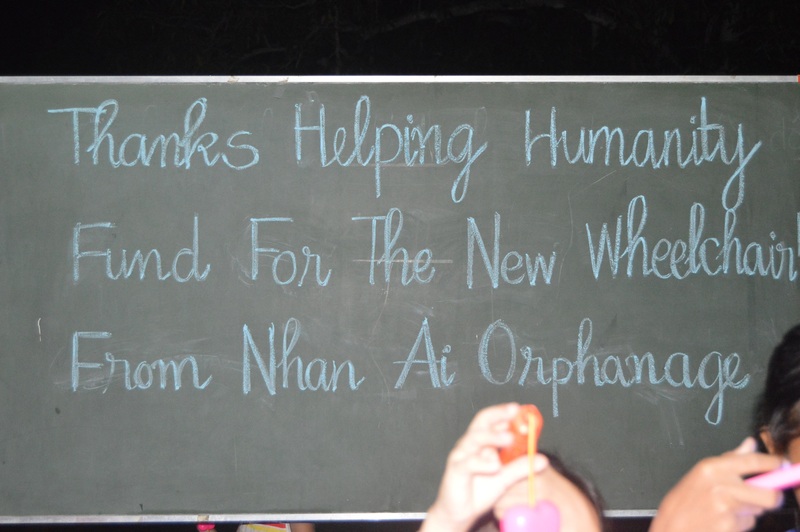 Paul was planning a charity trip to a poor village outside of Nha Trang this month, and made a donation to help Nhan Ai. 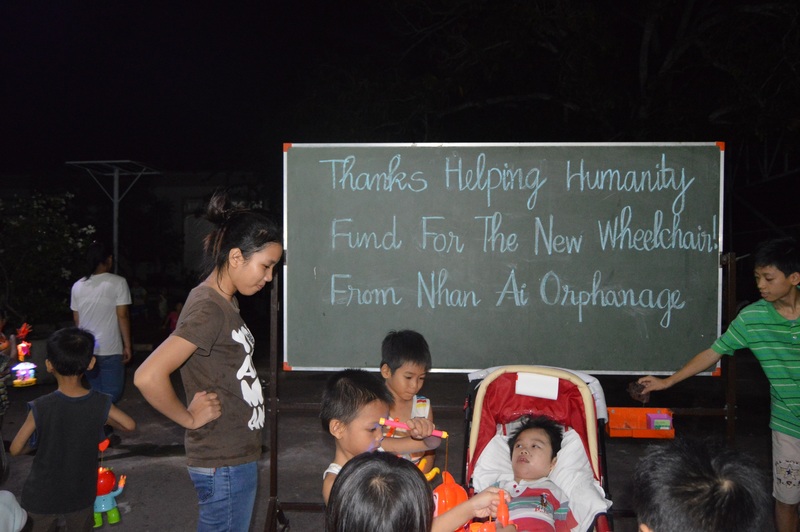 When we asked the nuns at Nhan Ai if they had any specific needs, they mentioned a young orphan with cerebral palsy. 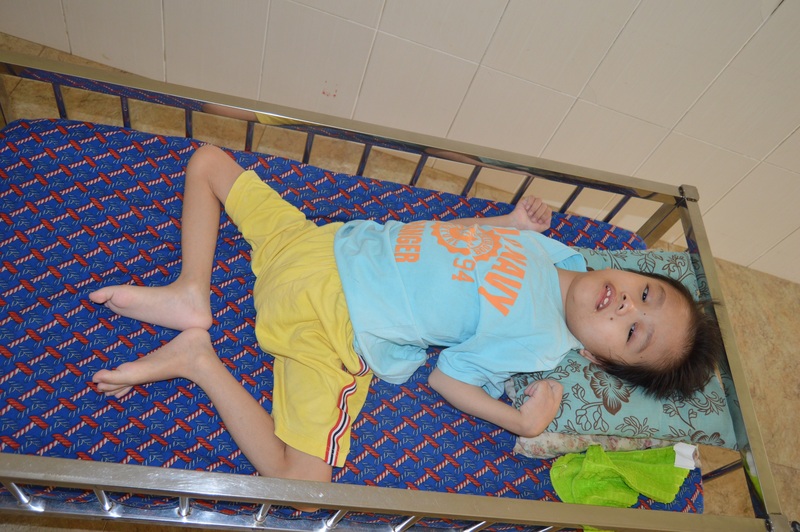 The child has a crib, but the orphanage had nothing that would allow him to easily be taken outside. 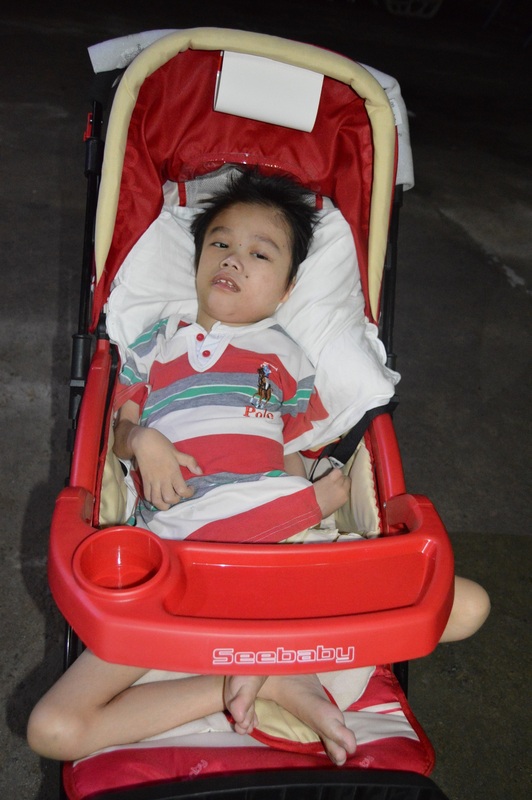 They asked for a large stroller (which they called a wheelchair) to accommodate the orphan. 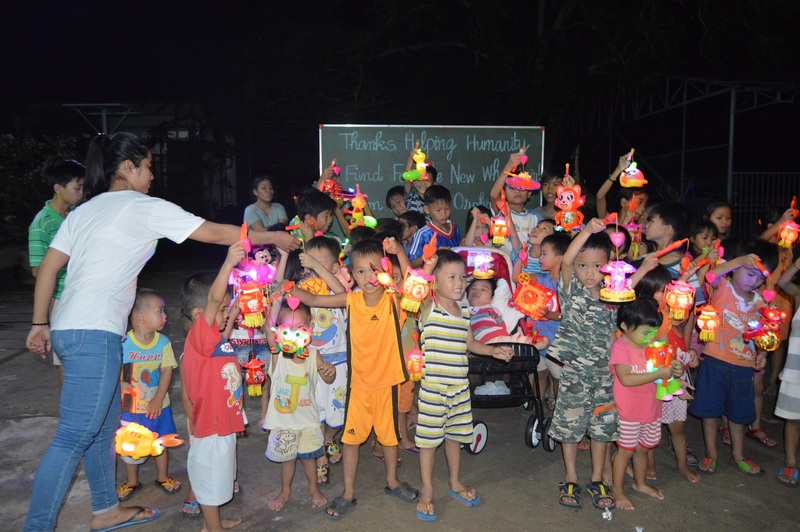 The Mid-Autumn Festival is approaching, and with the leftover funds we bought lots of traditional lanterns for the orphans to use when they celebrate the holiday. 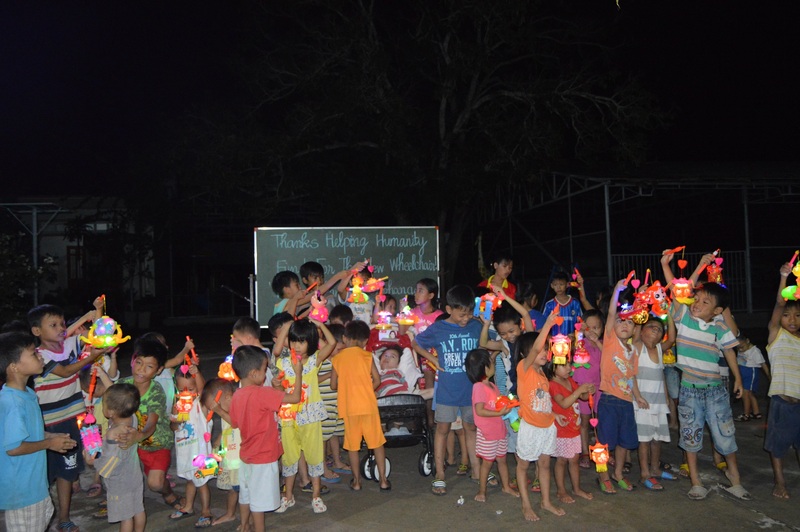 Thank you Helping Humanity Fund!